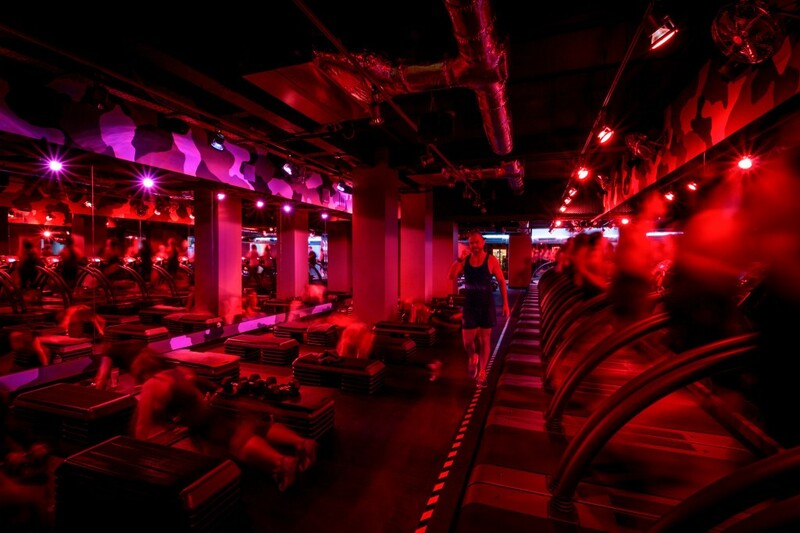 Meet Barry’s Bootcamp. The fun and exciting bootcamp class that has been dubbed The Best Workout in the World. You can easily see why, Barry’s combines cardio and weights to provide the most grueling and effective 1 hour workout. Their innovative technique allows you to shock the body, and workout with some of the best personal trainers in the country. Barry’s easily give you your best bang for your buck in terms of calories. An average HIIT session can burn around 500 calories. At Barry’s however, you can expect to burn anywhere from 500 to 1,000 calories. Most fitness experts can attest that shorter but more intense cardio and weight sessions not only keep it it more fun, but you burn more calories during and after your class is done. The trainers are motivated, knowledgable, and well, gorgeous (male and female). At Barry’s the trainers don’t care if your a newbie or an experienced boot camper, they treat everyone the same. They are in a class of their own and if you get lucky enough to attend a class by one of their many trainers like Noah Neiman, you can see that they practice what they preach. Each trainer has their own playlist and style for their class. Two things you can always expect are tons of high fives and encouraging shouts. A common misconception is that weights make you bulky. Women tend to shy away from them because they fear massive and unnatural arms, which is a very inaccurate assumption. At Barry’s you can be assured that resistance bands, weights, and cardio will torch your fat and tone your muscles. One of the less sweaty perks of attending a class at Barry’s is they have a huge following with celebrities. If you get a chance of going to a class in Los Angeles or New York, your bound to run into one of their many celebrity clients like, Ellie Goulding or Jake Gyllenhaal. 5. Everyone is welcome, even the guys. Bootcamps and classes have generally leaned more towards women. With Barry’s Bootcamp the tone is different. It is refreshing to see a place where men and women can easily blend with the exercises and not be held back by one another. The mix of cardio and weights is individual enough that you don’t feel left behind or held back, and the group atmosphere allows to feed of the energy to push harder. If you are ever in a city where Barry’s Bootcamp has a location I highly recommend you take a look and try it. Not only because the class is great, but it may convince you that cardio doesn’t have to last 1 hour and weights aren’t only reserved for the body builders.